Allen had originally introduced AB 1552 in January, but the Democrat-dominated Jewish Caucus felt they would be the best organization to champion the legislation. “I think it’s quite natural that the Jewish community be in the lead” because BDS affects Jews directly, Bloom told Breitbart News last month. After Bloom introduced AB 2844, there was considerable political sparring over whose bill was best, and who deserved credit for taking the lead on the issue. Eventually, Allen was invited to sign on as a co-author of Bloom’s bill, and he accepted. Breitbart News asked Bloom how the two men finally came to this decision. “[Assemblyman Allen] and I sat down, worked out our differences and recognized that we needed to work together for the greater good. And so he’s come on board my bill as a co-author and we are looking forward,” he said. In spite of the bipartisan nature of the legislation, AB 2844 faced opposition from several Democrats. Among them was the Chair of the Accountability Committee, Cristina Garcia (D-Bell Gardens) who had even recommended rejecting the measure altogether, according to Eitan Arom of JNS news service. In addition, three of Garcia’s fellow Democrats abstained from the voting process on Wednesday morning. William P. Brough, Beth Gaines and Rules Committee Vice Chair Tom Lackey, the only three Republicans on that committee, all voted in favor. Democrats Jacqui Irwin and Jose Medina also voted for the bill to come up with the five needed to move it forward. It is always the right time to fight against discrimination and hate speech, and today the Republicans are honored to stand strong in this bipartisan fight. California and Israel have historically stood together as allies due to our unique bond founded on shared values, a bilateral trade relationship, and our unwavering commitment to freedom and democracy. It is unconscionable for our state to do business with companies that play politics and boycott our critical allies. Several Republicans had earlier voiced concern to Breitbart News that Allen’s original bill would be watered down and de-toothed. 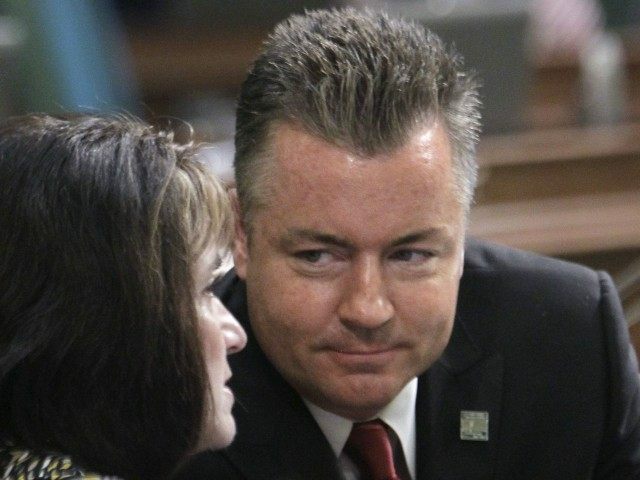 Asked how he would ensure against the same scenario potentially befalling AB 2844, Bloom said “we’ve already amended the bill in a number of ways, most of them are minimal.” He added that “if an amendment were to be forced upon us that were hostile and significantly changes the impact of the law, that would not be good,” and he would take appropriate action. He added that despite the standard amendment process all bills go through, he plans to remain vigilant to maintain the bill’s original intent.